Vanilla beans are expensive. It is not fiscally wise to throw used vanilla beans out when they can so easily be reused in other culinary applications. 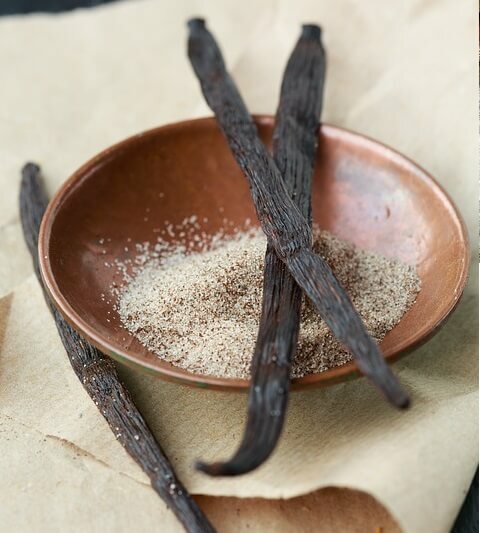 Vanilla beans can be dried and added to other dry ready-to-eat goods such as granola or steeped in wet storage goods such as milk or maple syrup. Another good application for dried vanilla beans is to work them into a brown butter recipe. You can also steep it and add it to homemade ice cream. Brown butter, as well as toasted cram, is a great way to handle leftover vanilla bean pods. You can add leftover vanilla beans to some fruity dessert to add some flavor. Vanilla beans can be ground up after they have dried out and this can be done with coffee beans.